I’m really diggin’ new British artist Aimee Duffy. She goes by “Duffy”. Probably a good move since there’s already a British “Amy” and she wants no part of that crazy train. Anyway, I’m pretty sure you’ve heard her new song, “Mercy”. Love it! She made her US television debut a couple of weeks ago on Leno. I have the performance somewhere. I’ll add it eventually. I’m actually contemplating a site on her. Remember now, starting new sites is an incurable disease, and I caught it 7 years ago! 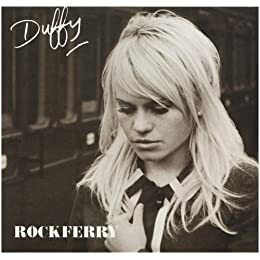 Duffy will be promoting Rockferry on TV quite a few times this week. On Tuesday, she’ll perform on Regis & Kelly and Conan O’Brien. Then, on Wednesday, she’ll be on TRL. I’ll be sure to DVR that. I can’t bring myself to actually watch TRL. The show has sucked since Carson “I’m A Massive Tool” Daly left and got his own show. Finally, Duffy will get the Ellen DeGeneres treatment on Friday. That’s a really nice promo schedule for a breaking act! But in the meantime, I’m going to pimp her album, Rockferry, which hits US stores on Tuesday. You can pick it up at Target Boutique for a the bargain price of $6.99. Great deal! Want more Duffy? Check out her Official Site and MySpace. It shouldn’t be allowed, but I’m definitely feelin’ Chris Breezy. He should be older than 19 so I feel better about thinking he’s hot. I know I gravitate to the young’uns and all — and by gravitate I mean my best friends are around his age — but it feels wrong to lust after a teenager. I’m also really diggin’ his new song, “Forever”. The video just premiered, and is pretty boring, except for the dancing parts. I could watch him shake it all day. Keepin’ it real.